B-b-b-b-b-b vitamins are your happy friends! The 8 separate B vitamins are essential to core functions in the body like converting food into energy and maintaining the brain and nervous system. The food sources of your Bs include: nuts, legumes, many vegetables, meat, poultry, and dairy products. 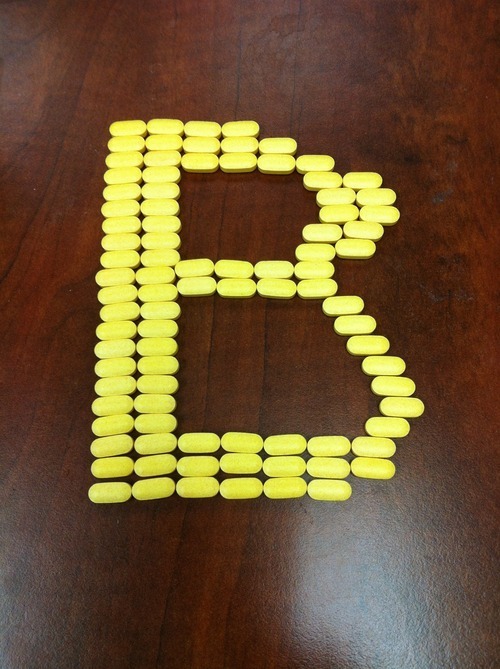 The superstar B: everyone knows about B9, aka folic acid or folate, because it’s common practice for doctors to recommend taking a B9 supplement to pregnant women and women trying to get pregnant to prevent birth defects like spina bifida. The elusive B: B12 is only found in animal products and since more and more research comes out all the time that eating mostly or even entirely plant based foods is a healthier diet option, vegetarians and vegans must take a daily supplement. Deficiency can result in: anemia and serious neurological problems. Interesting facts: your stomach absorbs less B12 from food as you age, so if you’re over 50, supplementation is just smart no matter what and aspirin and some heartburn medications (proton-pump inhibitors) may leave B12 low. We recommend: Shaklee’s “B-Complex” because B vitamins work their best when together (and it can be hard to get in all those leafy greens in your diet everyday too). Remember: since a deficiency in B6 can be linked to depression and it helps with conditions like PMS, it’s so important for women to make sure they get all their Bs!